Thanks for visiting, unfortunately, this sale has ended, join themy loving backyard to get the most up-to-date information on our sales. In the meantime visit our store for our latest offers. Here’s a gift of Easy Fruit Slicer at 50% OFF. We're bursting with love and appreciation for you! So here’s a gift of Easy Fruit Slicer 50% OFF. Our biggest discount ever! 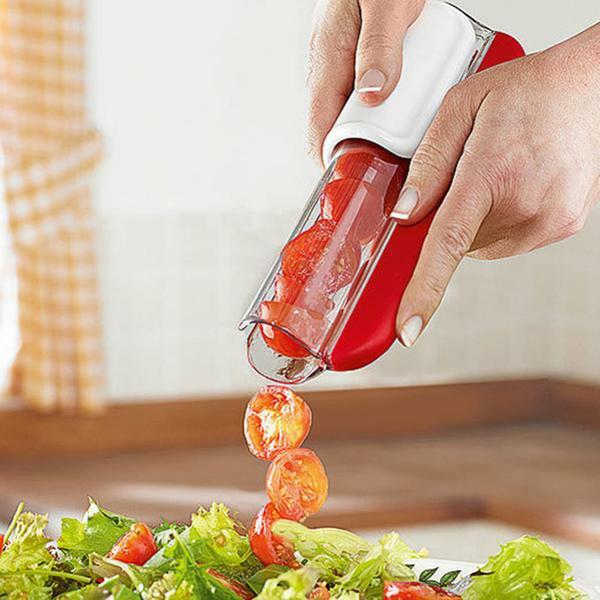 Recreate your tasty salad with Easy Fruit Slicer. If you ever stood at a cutting board slicing and cutting you know how much this can be a daunting task. Slicing fruits can be time-consuming. This must have kitchen accessory - Easy Fruit Slicer gives you more time to enjoy your eating time with friends and family. This tool allows you to slice fruits in seconds!